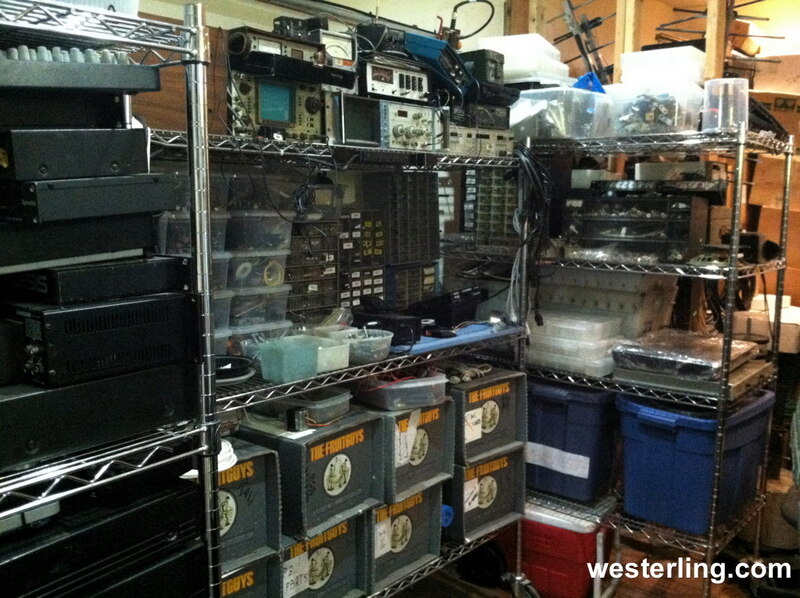 The workshop (also sometimes referred to as the “man cave”) is where I do my electronics work. He’s a shot of the parts wall. You’ll see the bins which have all of the replacement parts and pieces sorted and ready to be put to use. Also above there are some of my measurement devices. You might note that each of the racks is on wheels. That makes it easy to move each part around (or even outside) for cleaning or access – very handy.